We are living in a unique ’geo’ age, where geography is appreciated again. The 21st century encompasses political and economic games where the multipolar world, a new world order and a new value system combine to develop new actors and new industries. Business leaders are focusing more and more on global social issues, putting pressure on international political decisions such as locating the network hubs of creativity and innovation in many aspects of the world economy and culture. understand this new world. 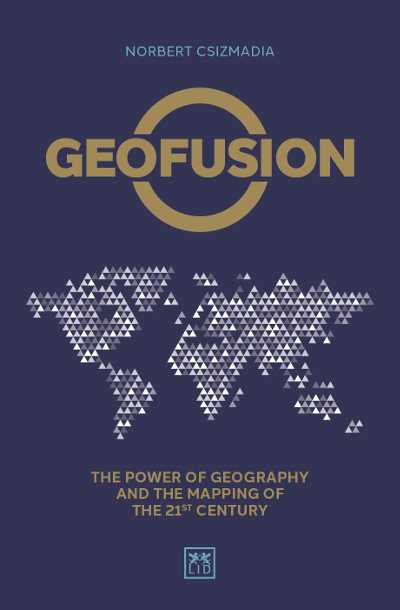 This book helps to explain how ‘Geofusion’ provides the opportunities that can give lasting value to the world. This geopolitical ‘guidebook’ illustrated richly provides foresight in to current global processes based on geographic, economic and urban research. ● Engaging and thought-provoking research into geopolitics and how it is driven by peopleand human decisions. ● Provides guidancefor today’s constantly changing world that is full of opportunities and environmental, social and economic challenges. ● A valuable and entertaining book that outlines the studies, thoughts and visionsof leading strategic thinkers and their professional studies. Norbert Csizmadia is a world traveller, Hungarian geographer and expert in economic strategy, geostrategy, regional and urban development, and geopolitics. He is the former State Secretary for the Ministry for National Economy and a former Executive Director of the Central Bank of Hungary in charge of economic strategy and planning. He is President of the Board of Trustees at Pallas Athéne Innovation and Geopolitical Foundation and is Chief Editor of Hungarian Geopolitics (HUG) magazine.